Diet Detective’s Nutrition Quiz — Which Food Has More Nutrients? #Diet Detective’s #Nutrition Quiz — Which Food Has More Nutrients? Answer: Believe it or not, the barley has the most: 31.2 g of fiber per cup. Whole-wheat flour has 14.6 g, broccoli 5.1 g and blueberries 3.5 g per cup. Why It Matters: Fiber is loaded with #health benefits — it reduces your risk of heart disease and diabetes and lowers cholesterol. Plus, foods with fiber help to keep you fuller longer. The problem is that most people don’t get enough fiber in their diet. You should have 30-38 grams for men and 21-25 grams for women per day. Answer: 1 cup of raisins has 1,086 mg of potassium. The potato is a close second with 1,081 mg. Next is the banana with 537 mg, and, yes, even cucumbers are high in potassium with a large cucumber having 442 mg.
Why It Matters: Potassium is necessary for muscle contractions (including your heartbeat), transmission of nerve impulses, and the regulation of fluids and electrolytes. Diets rich in potassium blunt the adverse effects of salt on blood pressure (one in five Americans has high blood pressure), may reduce the risk of developing kidney stones, and may decrease bone loss. The Institute of Medicine recommends 4,700 mg as an adequate intake of potassium for adults, but more than 90 percent of Americans are not meeting the recommendation. Answer: Clams offer the most iron with 23.77 mg in 3 ounces. Next in line are black beans with 3.61 mg per cup, followed by prune juice with 3.02 mg per cup, and mushrooms with 2.71 mg per cup. Why It Matters: Iron is an essential component of hemoglobin, which carries oxygen in the blood, and myoglobin, which carries oxygen in muscle tissue. 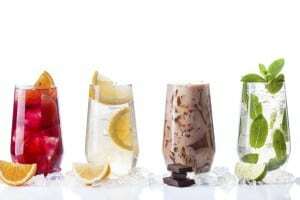 It also helps regulate cell growth and differentiation. Many women are deficient in iron. If you don’t get enough iron, the deficiency limits oxygen delivery to the cells, resulting in fatigue, poor work performance and decreased immunity. Men should be getting 8 mg per day and women 18 mg. Which food has the most selenium? 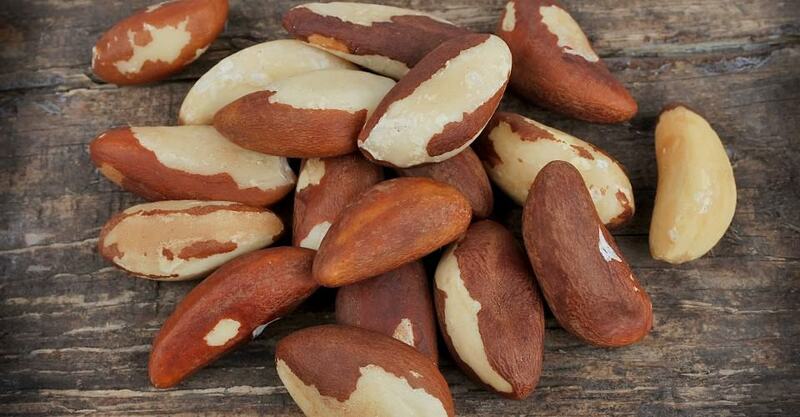 Answer: Brazil nuts are the highest by far with 1 ounce containing 543.5 micrograms. Next is whole-wheat flour with 84.8 micrograms, then halibut with 74.4, and couscous at 43.2. Why It Matters: Selenium is a trace mineral that helps certain enzymes function properly in the body. There are also observational studies that show a reduction in prostate cancer for those with high levels of selenium in their blood. However, a recent study reported in the Journal of Clinical Oncology suggests that if you already have prostate cancer, it may be a bad thing to take selenium. The recommended daily value for selenium is 70 micrograms. Answer: Buckwheat flour has the most with 301 mg per cup. Next is the halibut, with 170 mg, then 1 cup of spinach, 157mg, and last the black beans with 120 mg. But keep in mind that all these foods are reasonably high in magnesium. Why It Matters: Magnesium helps maintain normal muscle and nerve function, keeps heart rhythm steady, supports a healthy immune system and keeps bones strong. Magnesium also helps regulate blood sugar levels, promotes normal blood pressure and is involved in energy metabolism and protein synthesis. Men should get 400-420 mg and women: 310-320 mg daily. Answer: No, it’s not the orange; actually red peppers are the winner with 190.3 mg of vitamin C per cup. Next is papayas with 187.9 mg, then strawberries with 97.6 mg, and last is the orange with 69.7 mg.
Why It Matters: Vitamin C is an antioxidant that counteracts damage to cells from smoking and pollution and helps protect against cancer. It improves your immunity, helps the body absorb iron, strengthens blood vessels and maintains healthy gums. Vitamin C is required for synthesizing important body compounds and chemicals such as collagen (an important structural component of blood vessels, tendons, ligaments and bone), norepinephrine (a brain chemical) and carnitine (which assists in transporting fat). Men need 90 mg and women 75 mg per day. Which food has the most calcium? Answer: The ricotta cheese has the most with 669 mg, next is the yogurt with 448 mg, then skim milk with 299 mg, and last the spinach with 245 mg. Again, all of these have a good amount of calcium. Why It Matters: Calcium is famous for building and maintaining strong bones, but it also plays a role in blood clotting, blood pressure regulation and muscle and nerve functioning. Inadequate calcium can result in bone deformities, muscle cramps, hypertension and osteoporosis; a disease characterized by fragile bones and increased risk of bone fractures. Men and women ages 19-50 need 1,000 mg per day, and people ages 51 and up need 1,200 mg. Which has the most sodium? Answer: Miso soup has the most with 2,563 mg of sodium, next is a teaspoon of table salt with 2,325 mg, then sauerkraut with 1,560 mg, and last is the McDonald’s Quarter Pounder with 730 mg.
Why It Matters: Sodium has been linked to an increase in blood pressure, which increases the risk for stroke, aneurysm, heart failure and kidney damage. And one-third of all Americans have high blood pressure. U.S. dietary guidelines suggest we consume no more than 2,300 mg of sodium a day, while the Institute of Medicine recommends as little as 1,500 mg per day.